My dad always called me a barracuda because I like the idea of a little something shiny. 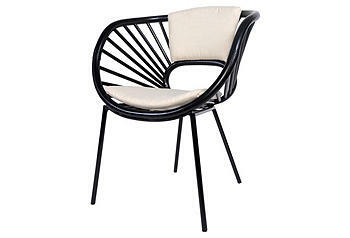 Love the funky shape of this chair! 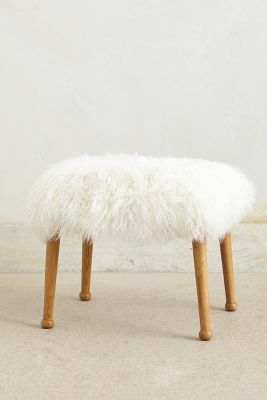 Obsessed with these furry stools from Anthropologie. 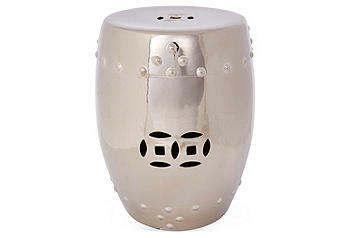 They ring in at $348 each (eeps!) But you could get a similar look by throwing a sheep skin over a small stool. 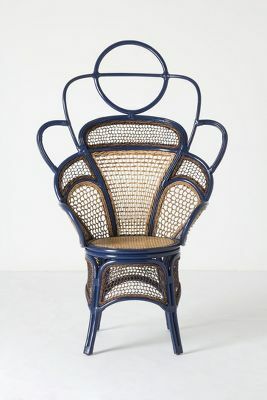 The boline chair from Anthropologie reminds me of a throne. Who doesn’t want a throne? And talk about making a statement!